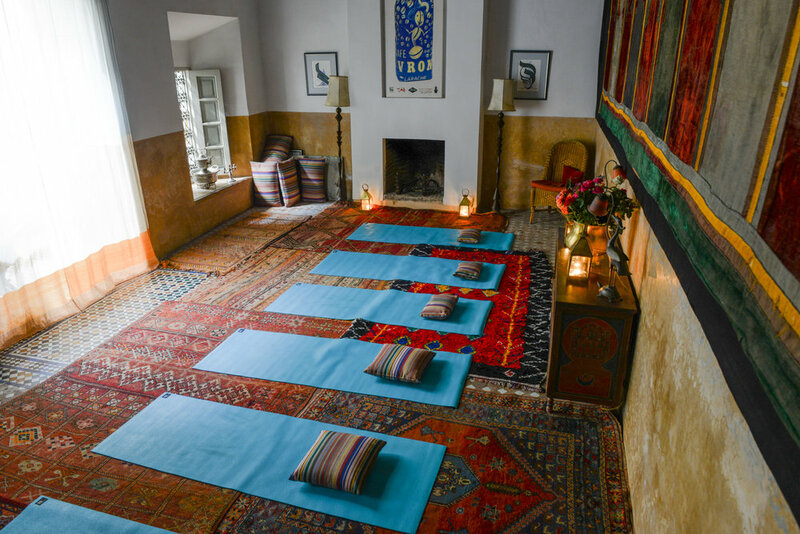 Join us on another 4 day women-only retreat in October and experience the magic of Morocco, the power of great food, daily yoga and sisterhood!! This time we have decided to give something back and make a difference to the country and people that we are falling in love with….. and we want you to help us. By supporting Education for All with our Marrakech retreats we aim to fundraise enough money (£700) to pay for a year’s boarding for one girl. This means she can attend school safely and with the consent of her parents, with the aim of furthering her education even to university level. This is an unprecedented educational revolution for these rural families and it changes lives. We discovered that something truly magical happens when a like-minded tribe of like-minded share a collective experience of mindfulness, (lots of) laughter and self expression. Come with the intention of 'me time' and leave reconnected to yourself but with a heart brimming with support, wisdom and love from some truly beautiful souls. The month of October also offers the perfect climate to visit Morocco and it's usually glorious sunny. Temperatures will be reaching up to 29C in the day and dropping to around 15C in the evening. All prices include a £25 donation to our chosen charity Education For All - helping rural girls in Morocco to continue their education.